Canadian Wildlife Federation: How can I certify my backyard? A. Whether you are limited to a small patio or have hectares of land, the Canadian Wildlife Federation would like to acknowledge your efforts in welcoming wildlife to your outdoor space. The Backyard Habitat Certification Program recognizes the amazing efforts Canadians are taking to meet the habitat needs of wildlife and allows individuals to have their property officially designated as wildlife friendly. 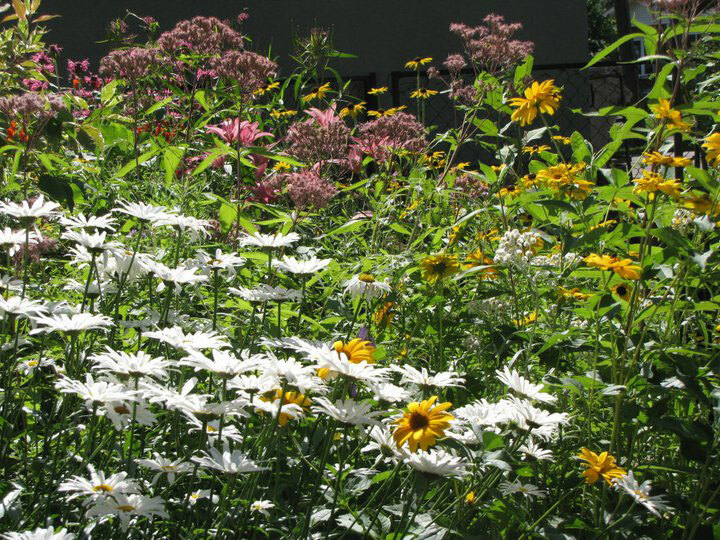 In certifying properties, we look to see if your outdoor space meets the needs of wildlife – food, water, shelter, that you have included some earth-friendly gardening practices and have incorporated regionally native plants. While we recognize the benefits of providing artificial nesting and feeding structures, we are also looking for a more rounded approach that includes many aspects of creating natural habitat and the diversity of wildlife it supports. The application form will guide you through these different components. 1. Apply online, download the form or call us if you want us to mail you a hard copy. There is a $10.00 application fee (tax included). Non-refundable. 2. Fill out the form as best you can. 4. Include some photos that show your wildlife-friendly property in action. It helps us if you can include both overall shots and a few close-ups of any favourite plants, natural features or animal visitors. 5. Send in your form and attachments and allow a few weeks for processing. Applicants that meet the above criteria will receive a certificate and window decal to indicate that the property is a CWF Certified Backyard Habitat. New for this year a stainless steel wall mount sign. Available to purchase to certified participants.Please click here for more information on our Backyard Certification Program.